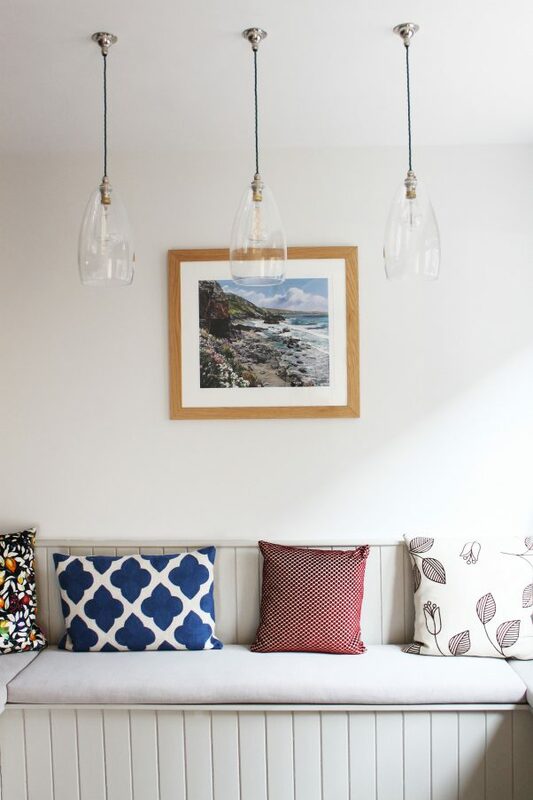 Last year we undertook an exciting Clifton Mews renovation, which included a bathroom and kitchen refit incorporating bespoke seating into the dining area. The kitchen was designed by the lovely planners at Magnet and composite worktops were sourced and fitted to give a contemporary look. 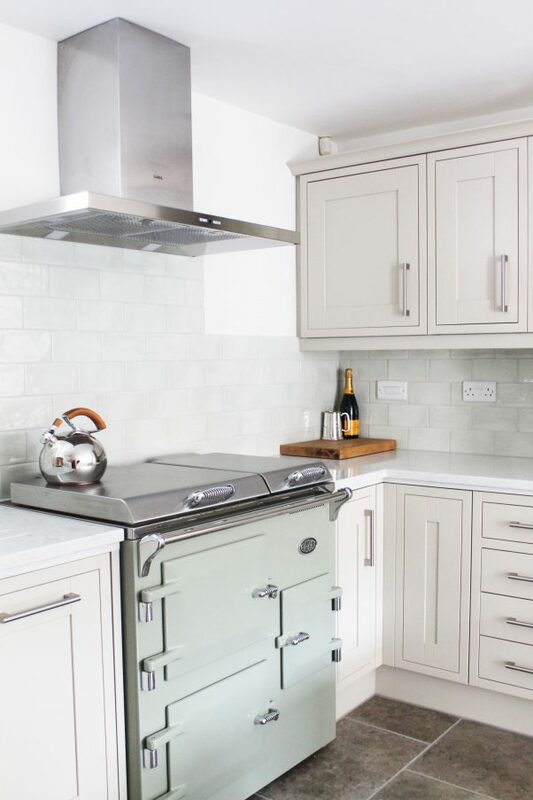 A stylish Everhot oven was fitted in an attractive sage colour and was the focal point of the kitchen. Although not a huge space, the room maintained its brightness. 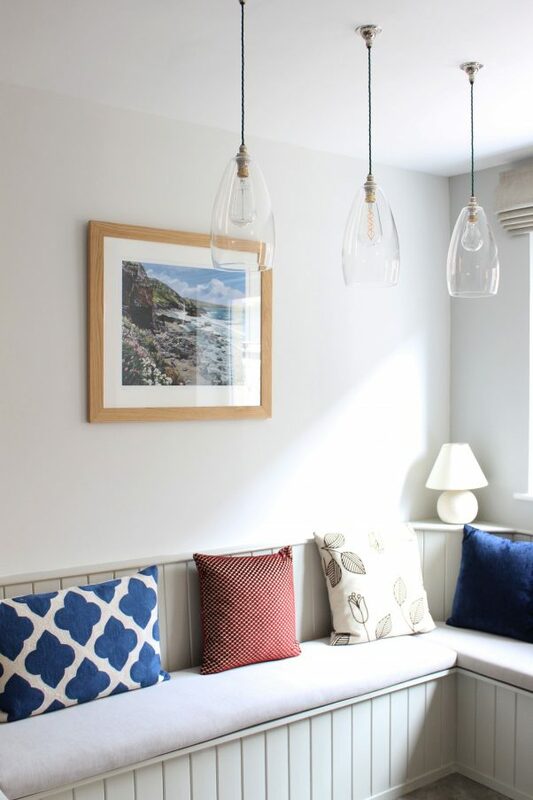 A bespoke seating area was fitted to the other end of the room to create a comfortable dining space with enough room for a dining table. Lights fitted central to the space finished the look off and allowed soft lighting for evening dining, away from the kitchen spotlights. 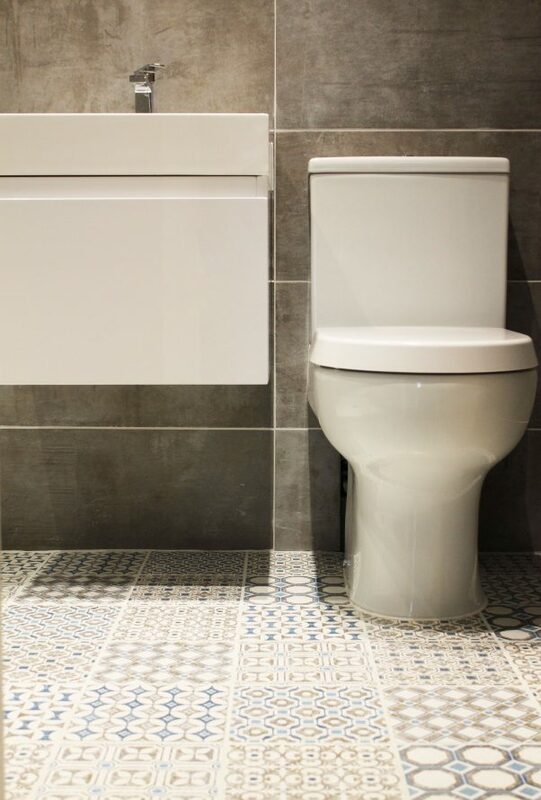 A full bathroom refit allowed neat recess spaces to be created for adequate bathroom storage. 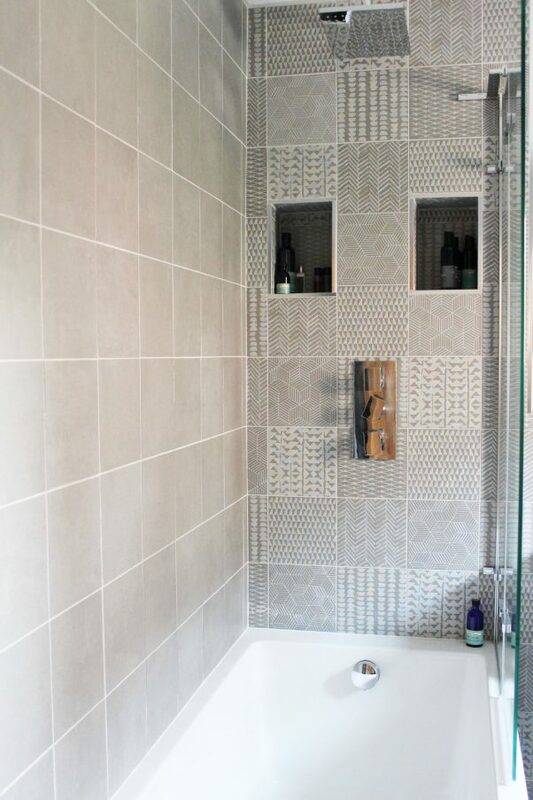 And the customers choice of tile from Mandarin Stone gave the bathroom a unique and luxurious finish. 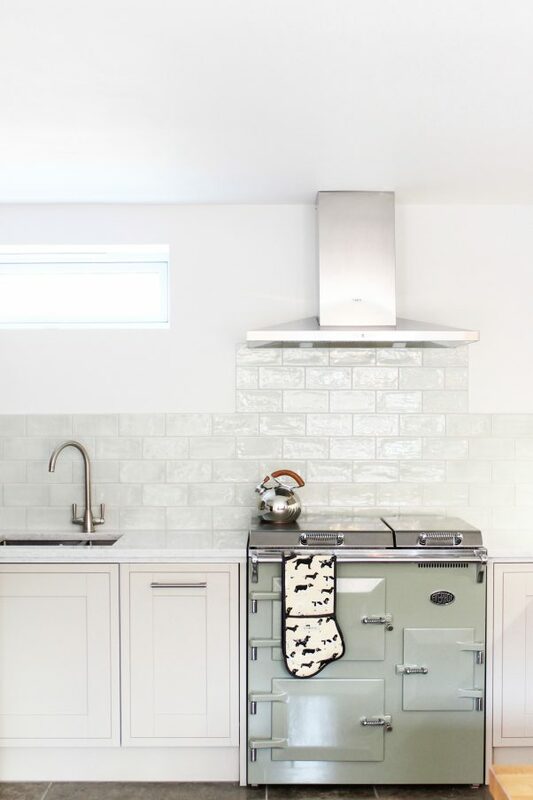 Even if you’re not planning on your renovation just yet, a top tip would be to start looking at design ideas and finishes as soon as you can, that way you don’t feel pressurised into making decisions quicker than you’d like to when you’ve started your project. A full or part renovation can really transform how you use your home and ensure you enjoy it more. 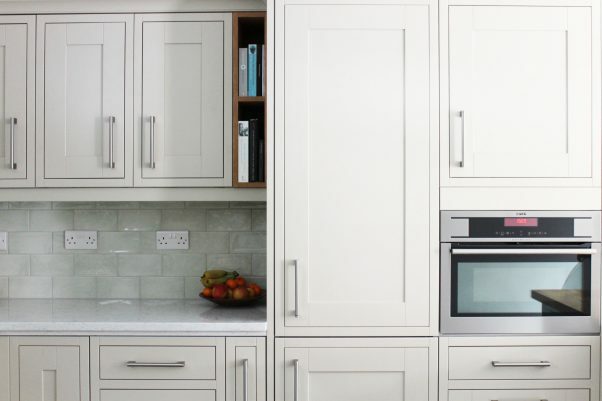 Renovate Building and Maintenance holds years of experience in all types of renovation work and we enjoy working with our customers to improve and extend their homes, we’re lucky to have worked with clients with great taste that helps to showcase our work!